Want to be notified of new releases in habdelra/yarn-workface? This repo is part of the 2019 EmberConf talk, "How I Learned to Stop Worrying and Love the Mono Repo". 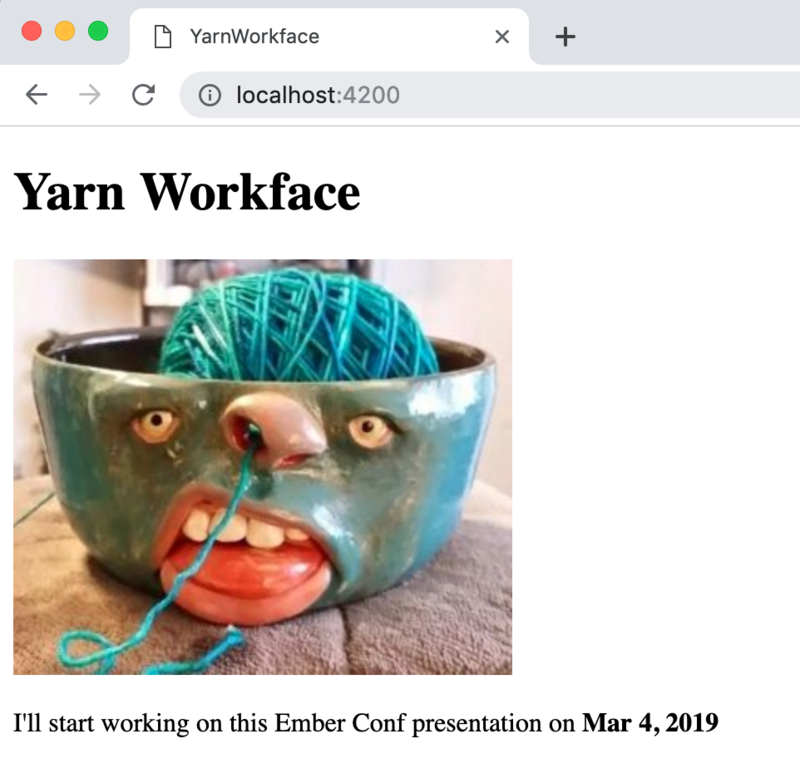 This repo demonstrates how to convert an Ember app that uses an in-repo addon to a mono repo using yarn workspaces with addons that are fully-formed. I have created a git tag in-repo-addons that is an Ember app with a versy simple in-repo addon, and a git tag mono-repo in which I convereted the Ember app into a mono repo that uses yarn workspaces and a fully formed version of the in-repo addon.